The competition in the lower range smart TVs segment seems to be growing at a very rapid rate. Majorly the sector has been dominated by Xiaomi’s Mi Smart TVs. However, that hasn’t discouraged the Gurgaon based manufacturer Micromax to jump in the bandwagon. Recently, Micromax has launched its new Yu Yuphoria Smart TVs, under its sub-brand Yu which is already dealing in the smartphone market. Notably, the brand had also launched the Yu Ace smartphone back in August under the same banner. To take a solid jab at the competition, Micromax has priced its two new Smart LED TVs on a very competitive price range with a starting price of Rs 18,490. Along with this price tag, the TVs come with Android Operating System, Apple Airplay among other features. The Smart LED TVs are already up on Amazon and selling. To know more about the latest Yu Yuphoria Smart LED TVs, read ahead. 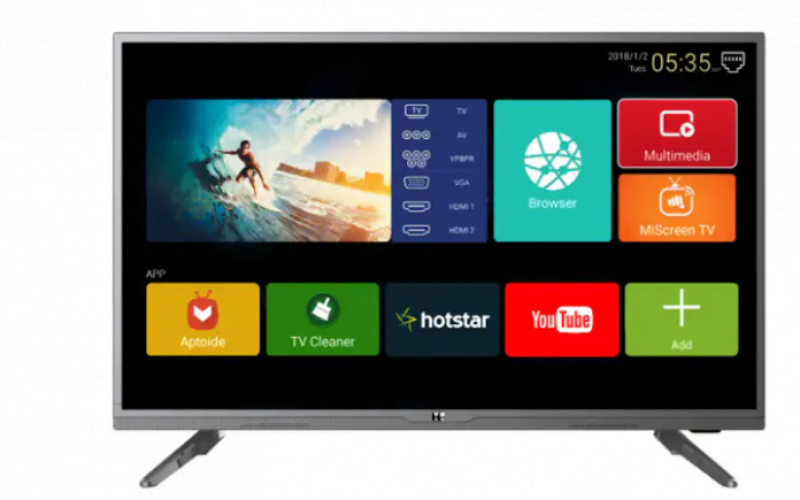 The Micromax Yu Yuphoria Smart LED TV in its 40-inch variant comes with a launch price of Rs 18,490. However, the MRP of the TV has been set at Rs 29,990 meaning that the selling price of the TV is bound to shoot up in the coming days. Also, the TV comes in a matte grey colour, and it comes with an FHD resolution of 1920×1080 pixels with the refresh rate being 60Hz. The Yu Yuphoria TV runs on Android, and there is also Apple Airplay meaning that you can connect your Apple devices with the TV with ease. For sound, the TV depends on the 24W speakers. As for the connectivity, the Yu Yuphoria Smart TV comes with HDMI ports, two USB ports, and one VGA port. About the specifications, the TV packs a quad-core processor along with 1GB of RAM and 8GB of internal storage. Also, the company promises a warranty of one year on the purchase of this TV. There are no major differences between the Micromax Yu Yuphoria’s 50-inch Smart TV model except in the screen size. As is the case with the 40-inch model, this variant of the Smart TV line-up comes with a launch price tag of Rs 27,990 whereas its MRP is Rs 39,990. This TV is also available for purchase on Amazon exclusively. Like we mentioned above, the TV comes with Apple Airplay, Android operating system and smartphone remote control capability. Using Mobile High Definition Link (MHL), the TV will be able to link easily with your phone. Using this facility, you will be able to play games on the screen, or you can also stream videos. Using the HDMI ports, users will also be able to connect a plethora of devices like laptops and gaming consoles. I will not buy any Micromax product, their products are cheap quality and their after sale service is poor.